India and Singapore decided to hold a dialogue to enhance bilateral trade and economy on October 4, according to Indian news agency PTI. 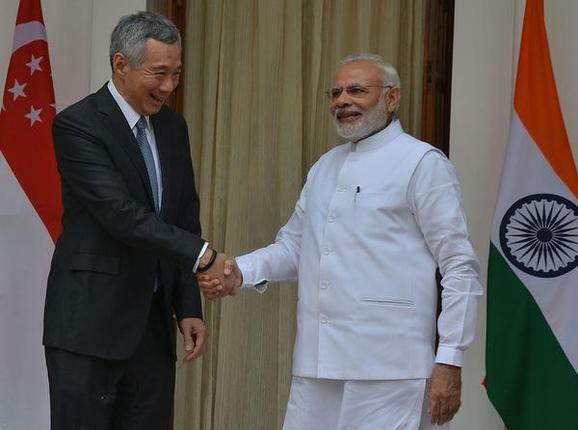 Prime Minister Narendra Modi and his Singapore counterpart Lee Hsien Loong ahead of their meeting in New Delhi (Photo: www.thehindubusinessline.com). The economic dialogue will be co-hosted by India’s Finance Minister Arun Jaitley and Singapore’s Deputy Prime Minister Tharman Shanmugaratnam. After talks with his Indian counterpart Narendra Modi in New Delhi, Singapore Prime Minister Lee Hsien Loong said that the two sides discussed the increase of strong economic links with the highlight as the establishment of the economic dialogue. Two-way trade dropped from 16.93 billion USD to 15.02 billion USD in 2015-2016 period. However, Singapore remains the second largest source of foreign direct investment in India, with 13.69 billion USD in the last financial year. In 2015, India’s Prime Minister Modi declared the two countries a strategic partnership./.